The mobile robots market is expected to grow from USD 18.7 billion in 2018 to USD 54.1 billion by 2023, at a CAGR of 23.71% during the forecast period. Mobile robots have witnessed a quantum leap with the introduction of technologies such as augmented reality, deep learning, and artificial intelligence (AI). With the growing geriatric population and the rising number of nuclear families worldwide, demand for advanced technologies and virtual assistants, such as companion robots, is also increasing as these technologies simplify the process of performing a task. However, performance in untested environments and lack of high-level interfacing act as key restraining factors for the market growth. Software used in a robotic system is basically a set of coded commands and list of instructions that are proposed to program robots according to the task required to be done by them. Owing to technological advancements, robot OEMs have started integrating data analytics platforms such as big data analysis and predictive analysis with the robotic system. The fast growth of the market for software can also be attributed to the increase in demand for mobile robots with auto navigation and autonomous decision-making capabilities. This market witnessed a sudden growth at the end of 2016 after the announcement of exemption regulations under the 333 Act from Federal Aviation Administration (FAA), US. Further, the new set of rules and regulations under Part 107 of FAA launched in June 2016 contributed to the relaxation of mandates for commercial drone operators specifically, owing to which the market for robots operating in the aerial environment dominate the mobile robots market currently, and the market for these robots is expected to grow at the highest CAGR during the forecast period. North America is expected to hold the largest share of the mobile robots market in 2018. The dominance of North America can be attributed to the increasing demand for warehouse automation. The market for mobile robots, especially AGVs, in the nonmanufacturing vertical is expected to grow at a higher rate than in the manufacturing vertical in North America. Demand from the nonmanufacturing vertical is mainly driven by the need for logistics at hospitals or in the healthcare sector to deliver medicine, food, and other supplies. In the process of determining and verifying the market size for several segments and subsegments gathered through the secondary research, extensive primary interviews have been conducted with key industry experts in the mobile robots marketspace. The report profiles key players in the mobile robots market with their respective market ranking analysis. Prominent players profiled in this report are Northrop Grumman (US), Honda Motor (Japan), Softbank (Japan), iRobot (US), DJI (China), Lockheed Martin (US), Kongsberg Maritime (Norway), KUKA (Germany), Bluefin Robotics (US), Samsung Electronics (South Korea), Parrot (France), 3DR (US), GeckoSystems (US), LG (South Korea), Amazon Robotics (US), Mayfield Robotics (US), Promobot (Russia), Bluefrog Robotics (France), LEGO (Denmark), and ECA Group (France). This research report categorizes the global mobile robots market on the basis of operating environment, type, application, industry, and geography. The report describes the major drivers, restraints, challenges, and opportunities pertaining to the mobile robots market and forecasts the same till 2023. This report segments the mobile robots market comprehensively and provides the closest market size projection for all subsegments across different regions. 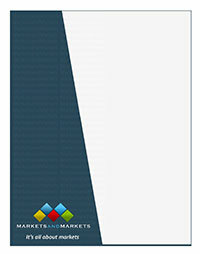 The report helps stakeholders understand the pulse of the market and provides them with information on key drivers, restraints, challenges, and opportunities for market growth. This report would help stakeholders understand their competitors better and gain more insights to improve their position in the business. The competitive landscape section includes competitor ecosystem, product developments and launches, partnerships, and mergers and acquisitions.